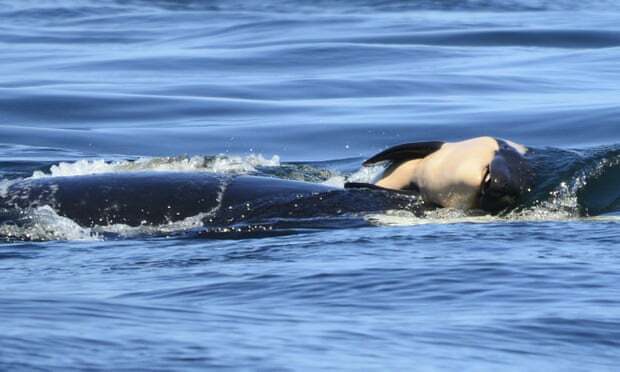 It all started when J-35, a member of the Southern Resident population, lost her baby short after the birth, on July 24th, near Victoria (BC). As a sign of mourning, she carries the body of her baby. Although this type of behaviour has been observed before, it has never lasted that long: J-35 carried the body longer than 17 days. Undeniable proof that animals are capable of love. There hasn’t been a succesful birth in the Southern Resident community since 2015. A male, J-92 has also been declared dead this summer. The Center for Whale Research has not had a sight of him since November 2017 . How are we linked to that? This male is likely to have died of hunger. 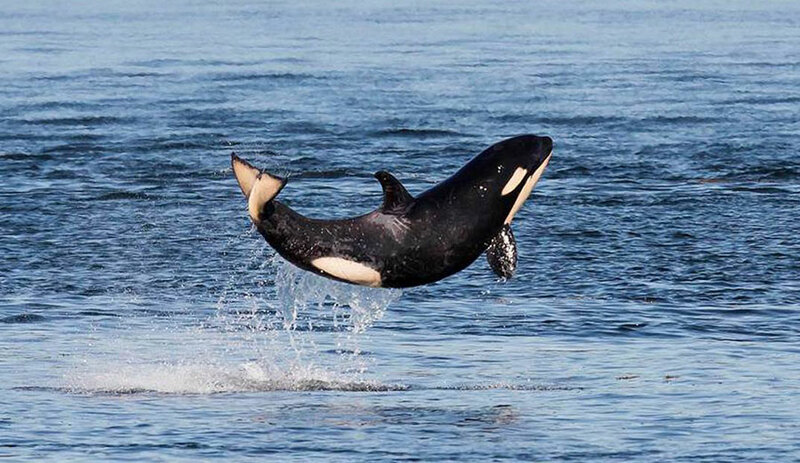 Chinook salmon farms are starving the orcas. As a direct reaction, restaurants in Seattle are cutting Chinook from the menu in order to help save orcas. Then, by mid-September, J-50, also called Scarlet, was declared dead. The population is made of three pods: J, K et L. The Center for Whale Research as been monitoring them since 1976, when there were only 71, its lowest. This third death lowers the population to 74 specimens. The Center was monitoring Scarlet for some time, giving her antibiotics. The little girl of the pod also died of hunger. She is said to have had a difficult start in life, rake marks were seen along her body soon after she was born suggesting that family members had midwifed her out and her mother. At 4 years old, she was the size of a two-year old. They have been declared an officially endangered population. Each of us are one piece of a jigsaw. Thinking we are powerless as one is a mistake. When pieces get together, it can create a pretty picture. The dolphin Honey, was captured during a Taiji drive hunt in 2005. 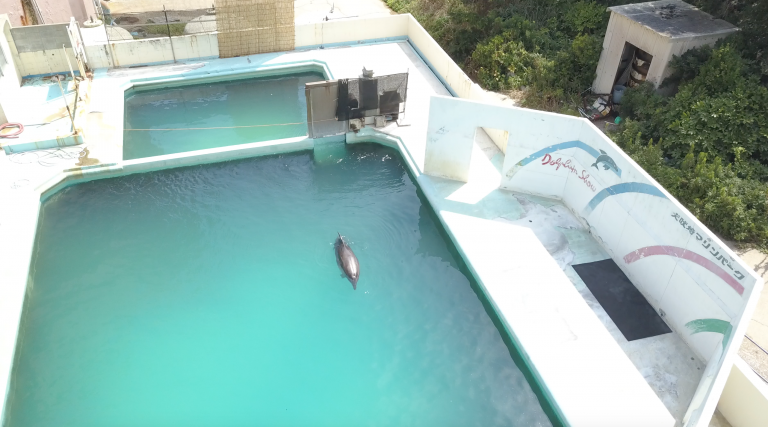 Today, he is left alone in a tank, with 46 penguis and hundreds of fish and reptils still in the marine park, closed in January. “Dolphin Project has reached out to the Japanese-based groups who are trying to seek a resolution for Honey. We have drafted a formal proposal to evaluate and rehabilitate Honey for a possible release or retirement in a sanctuary.” They need your help: click HERE to sign the petition. 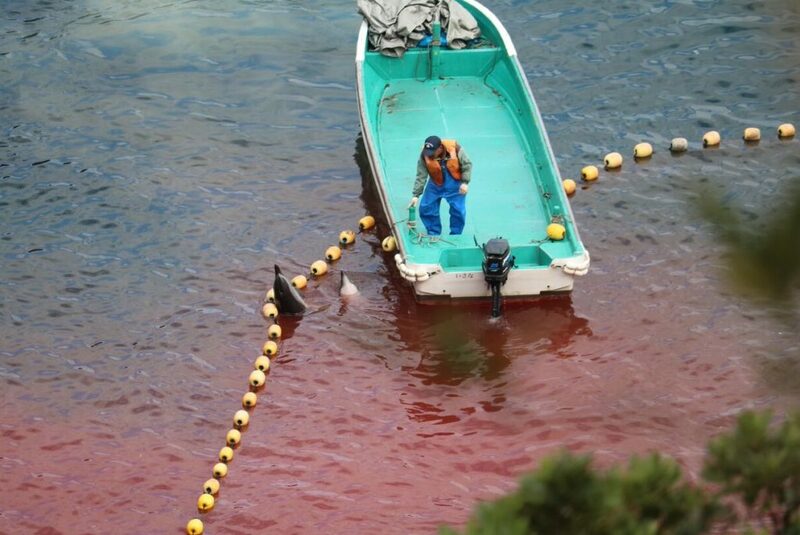 This season, fishermen aim at catching 2040 cetaceans in the infamous Cove in Taiji. After three weeks of BLUE COVE, a small pod of Risso’s Dolphins were slaughtered last Tuesday. Cove monitors have not been able to determine how many were killed. Japan proposal to lift whaling ban defeated at 41 against 27! Small victory among dreadful news. “Loro Parque has announced (at 7pm on the 22nd of September) that Morgan has given birth.